With an exceptional capacity in our Houston and San Antonio warehouses, Bee-Line can provide the tools necessary to help you store, move, and distribute product with ease. 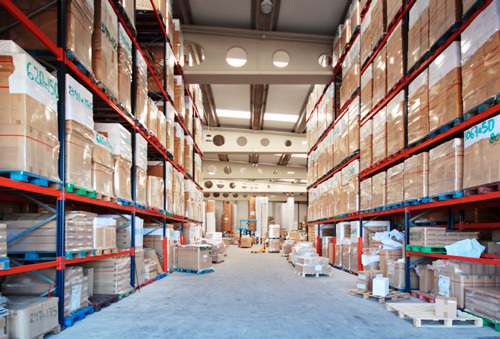 Routing, staging and sorting can be done at your facility or at Bee-Line's state of the art distribution warehouses. Our use of flexible delivery times, web-enabled technology, bar coding, and security procedures make Bee-Line Delivery a complete transportation resource for any customer-specific product staging and release program. With our wide range of delivery vehicles from bicycles to 18-wheelers, Bee-Line is your number one distribution specialist in the state of Texas. When it comes to Retail Distribution, depend on Bee-Line to deliver those heavy, high touch shipments on time and at a competitive rate.